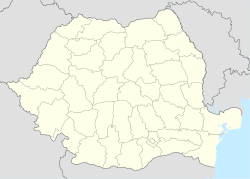 Livezile (until 1964 Cacova; German: Laßlenkirch, Hungarian: Úrháza) is a commune located in Alba County, Romania. It is composed of four villages: Izvoarele (Bedellő), Livezile, Poiana Aiudului (Nyírmező) and Vălișoara (Torockógyertyános). This page was last edited on 16 June 2018, at 18:17 (UTC).